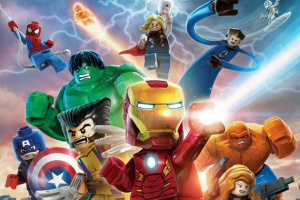 LEGO Marvel Super Heroes is set to blast onto Wii U in October in North America and 15th November in Europe, and anticipation for it is building by the day. Developer TT Games presented it during Eurogamer Expo as part of a Q&A session with director Arthur Parsons and revealed a few new characters as well as showing off some old ones. It features 15 specific story levels and a massive open world to explore with around 24 characters. However, it's more than just a story and the game in fact features more than 150 playable superheroes and villains - more than the developer originally intended. For example, there are the likes of Thor, Loki, Captain America, Squirrel Girl and Howard the Duck to take control of, while a super-powered Stan Lee is also an option. The Silver Samurai from the lastest Wolverine movie is even involved. During the presentation, Parsons revealed a few new characters such as the webslinging Carnage; the double-jumping Union Jack; Emma Frost, who can change into diamond form to deflect attacks; Iceman, who skates around freezing his foes; Whiplash, complete with electric whips; and Ms Marvel, who can fly and use energy beams. Some of the various characters will be able to transform, for example, Curt Connors can become the Lizard and thanks to an online petition, the BigFig version of Venom will also be playable. Are you excited for LEGO Marvel Super Heroes? Who are you looking forward to playing as most? Let us know in the comment section below. Game sounds pretty solid! I'll have to keep an eye on it. Howard the Duck FTW! They better not screw it up on 3DS. If they do I'll be seriously pissed. 3DS and DS versions have always been lesser versions to the console versions unfortunately. I did notice a poster at Gamestop which listed a Nintendo Wii version which supprised me since Nintendo Life reported that there wouldn't be a Wii version. So I'll probably ether get the Wii or Wii U version. "Anticipation for it is Building by the day"
Deadpool, Coulson, Howard the Duck. That's all this game needs to be amazing. Can't wait, have had a preorder for the Wii U version in since August. This game sounds really exciting. I'm not sure why Lego games get such mediocre ratings, but I hope this one will knock it out of that ballpark. Looking forward to it! Looks to be the most solid LEGO title to date! I will see how it rates first. Hopefully there will be less bugs/ glitches. I was already going to buy this, but now i'm going to buy it even harder. Somehow. Hopefully it's as good as it sounds. The downside of Lego Batman 2 was the rushed roster with copy/paste abilities. Im really excited for this one. It was going to have wait until after Sonic but since that game got a 1 week delay may have to bite. It annoys me when Europe gets games a month after the U.S. By the time I get it the yanks will have a dozen different walkthroughs on YouTube, so I don't then see the point of doing my own one. @ledreppe Europe got Mario & Luigi Dream Team a month before the US. @Gioku Yes, but unfortunately I haven't got a 3ds capture device (yet)! Um, TT, here's my money. Okay, Emma Frost, Black Widow, Deadpool, Wolverine, Hulk... Any news on Hawkeye?! Emma Frost's gonna be awesome. Lego City Undercover was brilliant, Lego Lord of the Rings was very, very good so yes, I'm getting this. For kids! Buying this for Wii U, as the gamepad makes it miles ahead of any other platform for multiplayer. This will be my very first Lego game and I am super excited for it. I have to be honest though, I'm hoping a very similar game is released in the future, not in the Lego style, but in a much more realistic art style. 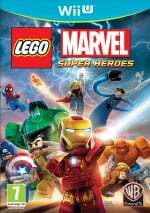 The Lego style isn't really my cup of tea, but I really want this game because it's Marvel and I love how many different characters you can choose from. Do we know if the Wii U version can deal with more than 2 player co-op?